How to find all of the 'FORTNITE' letters and the Tomato Town treasure map locations in 'Fortnite' Season 4. "Fortnite Season 4" is now well underway, and fans have had most of the week to get used to the new features in the game. "Fortnite Battle Royale’s" latest patch added several new locations, taking out some weapons and giving players new powers and abilities. 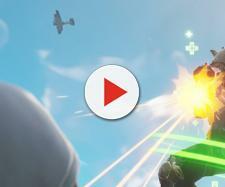 Dusty Depot was hit by a meteor and replaced with Dusty Divot, complete with new power-ups called Hop Rocks. These small meteorites offer players an anti-gravity effect for a short time, allowing for super jumps. A report by Game Spot provided most of the information used in this article. 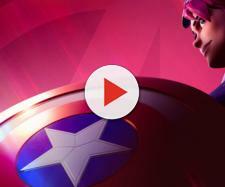 Superhero themed locations like several secret bases, a movie set and a drive-in theatre called Risky Reels were added to the game map. In return, we had to wave goodbye to the crossbow but gained some amazing new skins in the meantime. Not only that, but the latest update to Epic Games’ Battle Pass has included some crafty challenges designed to get players exploring. Pass these challenges and you can gain XP to level up your character quicker. So if you haven’t got to grips with these yet - maybe they’re too difficult, or perhaps you’ve been busy with the gameplay updates - now is the time to try them! Firstly there is a challenge that you might not have gotten to the bottom of yet, following a treasure map which you pick up in Tomato Town. This will earn you ten Battle Stars! You can always head to Tomato Town, pick up the map and follow it. But if you really want to cut corners, you can go straight to the objective, if you know where it is! Its location is pretty simple to find once you know how as well, just head to where the E in Loot Lake is spelled out on the game’s map! In the wreck of the small boat sticking out of the water just south of a small slab of land there, you’ll notice the Battle Pass icon, ready to collect! Talking of spelling things out, one of the trickier new challenges this week included in the "Fortnite" Battle Pass is to find letters in-game. These spell out "FORTNITE," and you’ll have to collect them all for a five Battle Star reward! Haven’t tried completing this challenge yet because of the measly reward for the amount of work involved? Well, it’s simple if you know exactly where to look, and now you do, with our complete guide! The first location is Tilted Towers; one of the letters is found on top of the clocktower in Tilted. Next, head to Salty Springs and go east, where you’ll find a letter at the top of the large fire lookout tower. There’s a third letter on the largest building in that unnamed area northeast of Flush Factory; get on top of the building, then destroy the glass ceiling to collect it.The next two are simple! 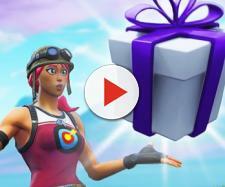 Over in Anarchy Acres, there is a letter on top of the big red barn, and in the new area Risky Reels, you’ll see a letter in the hole of the movie screen. You’re nearly there! Try Snobby Shores’ letter next, it’s in the most northerly part of the area, you’ll find it up a light pole near a rundown house. In Pleasant Park, you’ll find another letter on top of the roof in the center of the area, just head north from the soccer field to find it. Last one! You’ll have to search a little, but if you head for Lonely Lodge and then bear southeast from there, the final letter is sitting on top of the building in the unnamed area right there. You will have to rely on your own skill to complete the other weekly Battle Pass challenges this week. They involve pistol and sniper kills and eliminating opponents in Flush Factory among other things. Don’t forget you have only a week to complete each set of challenges!